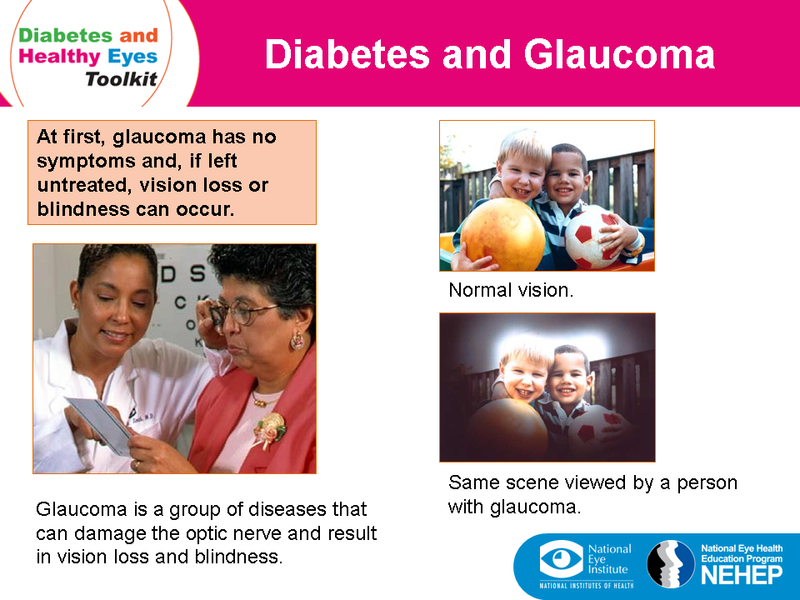 People with diabetes are 2 times more likely to develop glaucoma than the general population. Glaucoma is the 2nd leading cause of blindness in the world according to the World Health Organization. 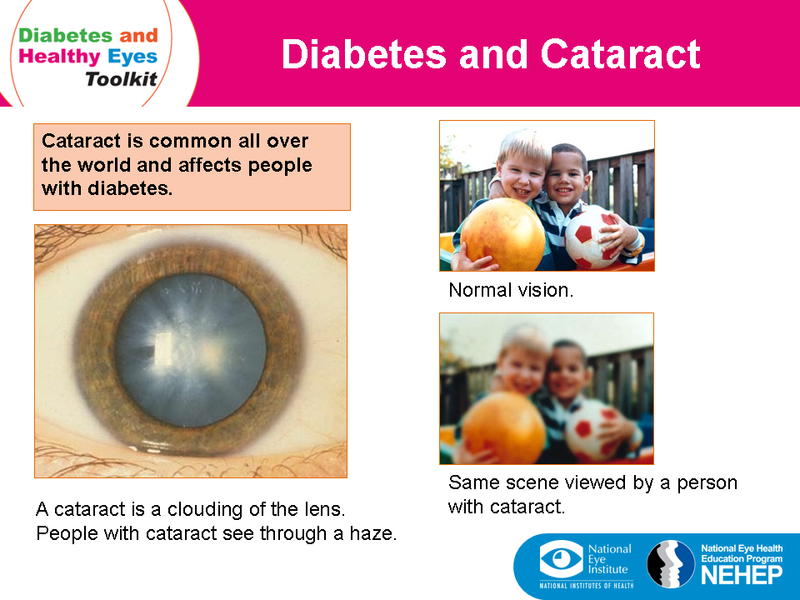 People with diabetes are almost 2 times more likely to develop cataracts than the general population. They will also develop cataracts earlier and the cataracts will worsen faster. Cataracts are a leading cause of vision loss.